House of Doolittle 319 Calendar - 14.88" x 12"
Media Size: 14.88" x 12"
Horizontal wall calendar offers 12 months of planning from January to December. One-page-per-month format includes ruled daily blocks, days remaining, numbered weeks, shaded weekends, Julian dates, and two past and two future months reference. 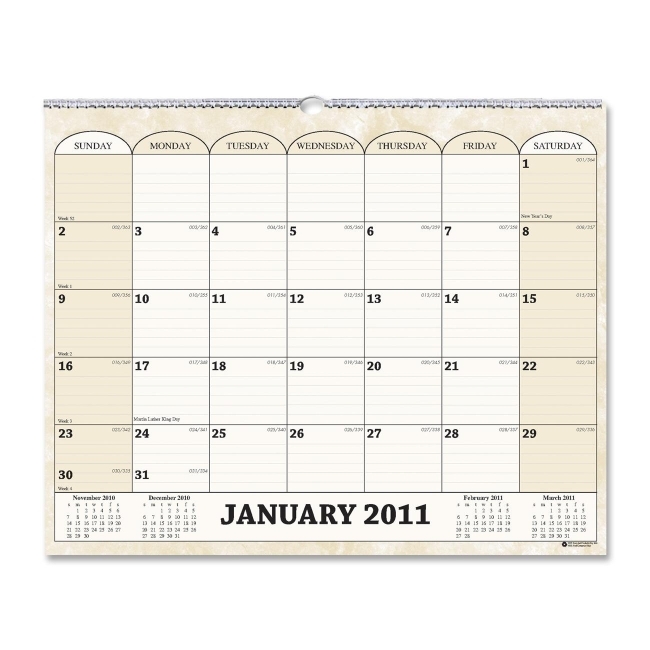 Wirebound calendar is easy to hang with an eyelet. 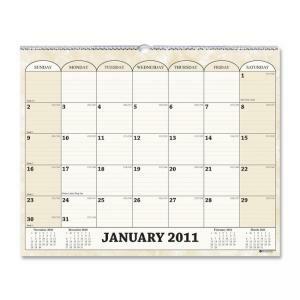 Calendar pages are printed with soy inks on recycled paper with 100 percent post-consumer fiber and soy inks.